Butler Edelen Stonestreet and Ruth Wooden's 187th anniversary is today, married in 1825 in Kentucky when he was 27 and she was 22 years old. Ruth is the boys' 5th great-grandaunt, the sister of Robert Wooden who married Jane Barnhill December 26, 1809 in Jefferson, Kentucky and begot 4 children, with the last being Robert Miller Wooden, born in 1796. 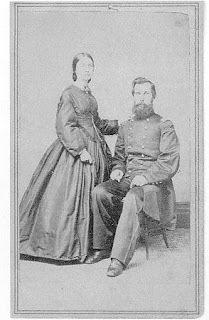 Robert Miller Wooden married Malinda Mahala Wilhoite February 18, 1819 and are the boys' 4th great-grandparents. Alice Edna Stanford is 109 years old today, born in 1903. Alice is the boys' 2nd cousin 3 times removed. Her father is Asia Minor Stanford their first cousin 4 times removed, the son of 3rd great-granduncle Jacob K. Stanford who is the brother of David Stanford, the boys' 3rd great-grandfather. Cyrus H. Cotton is 188 years old today, born in 1824. Cyrus is the boys' 1st cousin 6 times removed. So their 6th great-grandparents should match-up. Cyrus is the 3rd child of 7 from Chauncey H. Cotton, 1791-1869, (see picture) and Anna Gold. Chauncey and Anna are Steve's 5th great-grandaunt and uncle. Chauncey's parents are Thomas Cotton and Anna Hubbard, the boys' 6th great-grandparents. Ira Cotton, Thomas's brother, is ALSO their 5th great-grandfather and was married to Sally Gold. Sally was not only, Steve's Great Aunt but also his 5th great Grandmother. They are double related on BOTH sides of the family line, the Cotton's and the Gold's because sisters Anna Gold and Sally Gold both married Cottons, and brothers Ira and Chauncey Cotton both married Golds. 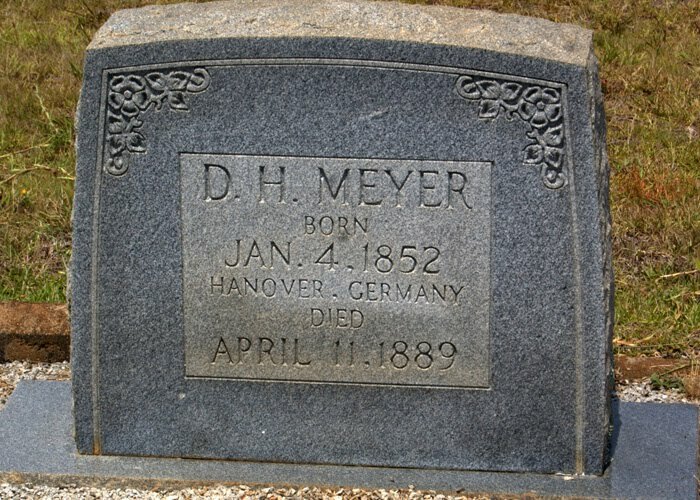 Dedrick Henry Meyer is 160 years old today, born in 1852 Dedrick is the kids' 3rd great-grandfather on the Myer side. Dedrick was born on January 4th 1853 in Hanover, Germany. The census shows Dedrick and Lucy Barnett living in Grove Hill, Madison, GA in 1880. He was 26 and she 21. So he had to come to the US either alone or with his family and marry Lucy prior to 1880 and really, prior to his first son's birth in 1876. It clearly shows that Dedrick was born in Europe as were his father and mother. Lucy was born in GA as well as her mother and father, who are David Barnett and Jane C. Fleeman. Dedrick died when he was just 36 in Winterville, Clarke, GA. If he married Lucy on or prior to 1875 and then had Brunno Davied Meyer on Feb 1 1876 the rest of my dates would work. 1. 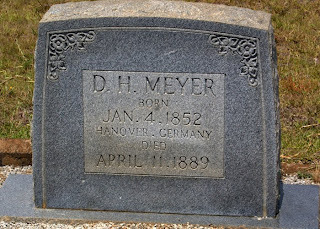 Brunno Davied Meyer born Feb 1, 1876 2. John H. Myer born July 15, 1880 3. Leler Jane Myer born March 4th 1882 in Round Mountain, Cherokee, AL. 4. Tommas Adkerson Meyer born Feb 5, 1884 in Round Mountain, AL. 5. Dora Lou Myer born abt 1887 in Round Mountain, AL. 6. Dedrich Homer Myer born March 24 1889 in Madison, Morgan, GA. Then Dedrick died in Winterville, Clarke, GA. April 11, 1889. Then Lucy takes the family back to AL and marries D. B. Lane in 1896 and has a couple more kids. Phoebe Linigar is 220 years old today, born in 1792. Phoebs is Steves' 5th great-grandaunt, the sister of Nancy Ann Linigar born around 1801. Nancy married Thomas Bays and are Steve's 5th great-grandparents. They begot Rebecca Bays in 1818 and she married Dryden Sims October 18, 1837. They begot Thomas Nuton Sims in 1860. Sarah Jane Campbell died 121 years ago today in 1891 at age 61 in Morgan, Alabama. Sarah is Steve's 4th great-grandmother. She married Joshua Sexton McCutcheon and begot John Davis McCutcheon in 1853. John married Lenore Overstreet January 27, 1874 in Morgan, Alabama and they begot 9 children with Lula May McCutcheon being the 6th born. Lula married Samuel Omar Garrison December 27, 1905 in Morgan and they begot 3 children with Sarah Eloise Garrison being the middle child. Sarah married John Wesley Reeves, Sr June 25, 1932 in Athens, Alabama and the rest is history.